This Guncle Periodic Table of Elements T-Shirt Gift for Gay Uncles makes a great gift to announce a new baby in 2019 to your favorite brother, or as a special gift for any guncle. Science geeks and nerds will love this! 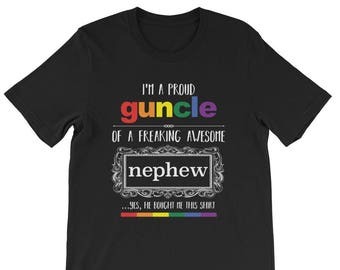 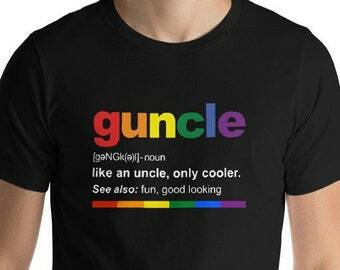 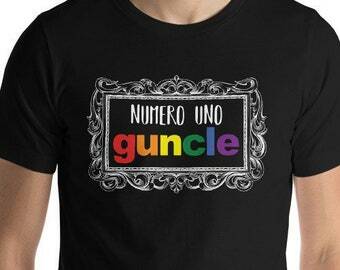 Your gay uncle is a 5-star guncle! 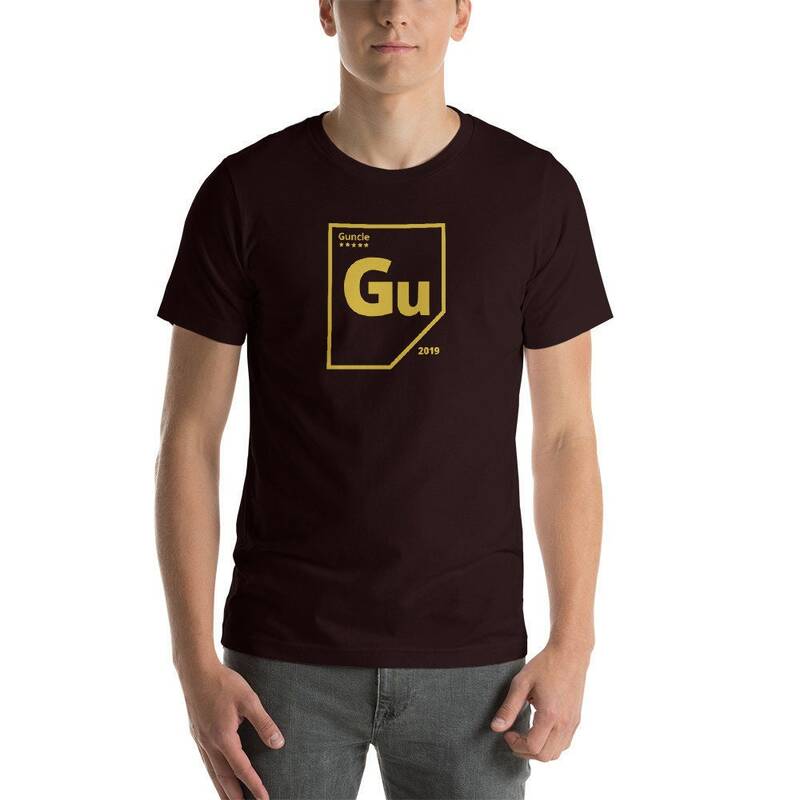 Features a custom periodic table of elements icon for guncle in gold with 5 stars and the year 2019. Buy this Guncle Periodic Table of Elements T-Shirt Gift for Gay Uncles to announce a new baby in 2019, or to surprise your favorite science geek or nerd. 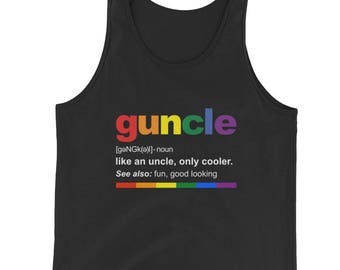 Your gay uncle is a 5-star guncle! It’s elemental!